Cooperativeness is one of the primary qualities associated with Wood. As the various parts of a tree work in harmony for the good of the whole, you are likely to feel comfortable working within a group for the common good. Make no mistake, however, as a Tiger-sign you prefer to be the leader. With your sense of teamwork you can be a popular and respected member. You're also probably the first one to offer a compromise when a situation warrants it. Furthermore, you don't need to affect this behavior; it's probably a part of your generally sociable nature. Along these same lines you're likely to be extroverted, a person who actively seeks the company of and being in touch with others. This idea of interconnectedness also manifests itself in your humanitarian nature. As a Wood element person you are likely, more than most people, to care about fellow human beings and all life in general and to display kindness and compassion. This, however, could be displayed in the form of tough love; you are a Tiger! Also, you're probably more generous with your time and possessions. Ethical behavior is another characteristic of the Wood-sign person. In you this could be a part of your humanitarianism, but it also may involve a genuine concern for values and doing the right thing in your daily life. Regardless, you are likely to live by your standards, not those someone else has set for you. It sounds contradictory, but Wood is related to both stability and flexibility. 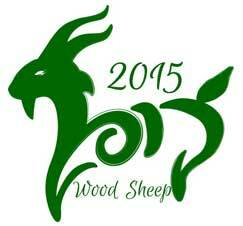 If the Wood in your chart is at a moderate level, you are likely to be a solid person with resilience. Solidity refers to inner strength and stability, and resilience to flexibility. If you lack Wood overall, you could be too conservative and have trouble dealing with change. If you have an excess, you could be so flexible as to have trouble making decisions or staying with commitments. 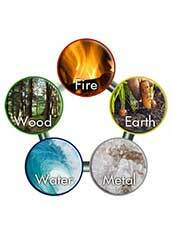 What do the elements have to do with you? The Element Analysis reading explains your personality based on the number of times each element appears in your chart. You’ll learn how the placement of elements in your chart influences who you are and what you become in life. Understand the relationships between elements and how they affect everything from your friendships to your career. Try it today!